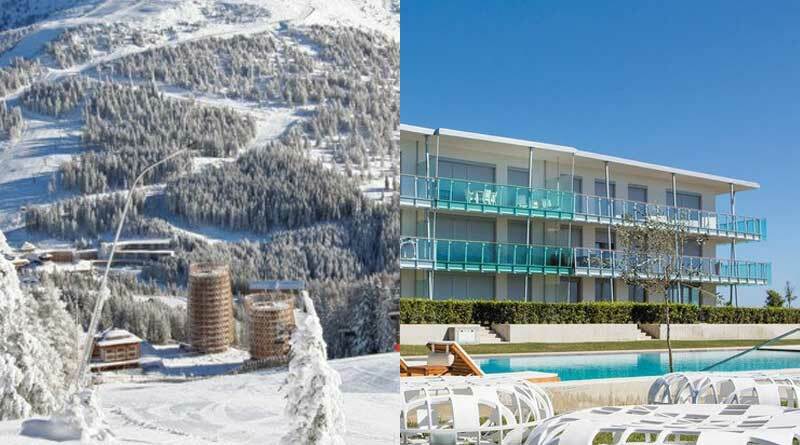 Falkensteiner Hotels & Residences announced the affiliation of two properties to The Registry Collection, the world’s largest luxury exchange program and part of the Wyndham Worldwide family of brands (NYSE: WYN). The Falkensteiner resorts offer two very different holiday experiences, however, both focus on delivering a luxury holiday lifestyle. The Senia Apartments in Croatia are ideally located directly by the sea, and in the heart of the Punta Skala resort, with breathtaking views of the islands. The apartments feature modern architecture with a Mediterranean feel and fresh, airy interiors. In addition to luxurious accommodation, guests also have access to the services of adjacent hotels in both locations. The five-star Hotel and Spa Iadera in Croatia and four-star Superior Hotel Cristallo in Austria both feature excellent spa facilities and multiple cuisine options. This affiliation is advantageous to both current and future owners at the two Falkensteiner developments. In addition to the ability to exchange into other luxury resort properties, members also receive a host of other benefits associated with The Registry Collection, which are designed to provide the ultimate lifestyle experience. The Registry Collection® program is the world’s largest luxury exchange program, with approximately 200 affiliated properties that are either accessible for exchange or under development. From condo hotels and high-end fractional resorts to private residence clubs and fractional yachts, The Registry Collection program provides members with access to an elite network of the finest vacation properties at some of the world’s premier destinations, as well as travel concierge services that are available 24 hours a day. The Registry Collection program is offered by RCI, the worldwide leader in vacation exchange and part of the Wyndham Worldwide family of brands (NYSE: WYN). For additional information visit our media center or theregistrycollection.com. You can also find The Registry Collection on Facebook. FMTG – Falkensteiner Michaeler Tourism Group AG is a leading private tourism company represented in six European countries. The group comprises Hotels & Residences, currently with 34 four- and five-star hotels and resorts, FMTG-Development, and tourism consultancy Michaeler & Partner. The group is one of the leading regional providers and developers of tourism products and services in Central Europe, being active in all aspects of the business, from the construction of hotels, residences, serviced apartments and mixed-use properties, to the marketing and operational management of such developments.